Wednesday, Feb 24, 2016, at the Oregon Convention Center. 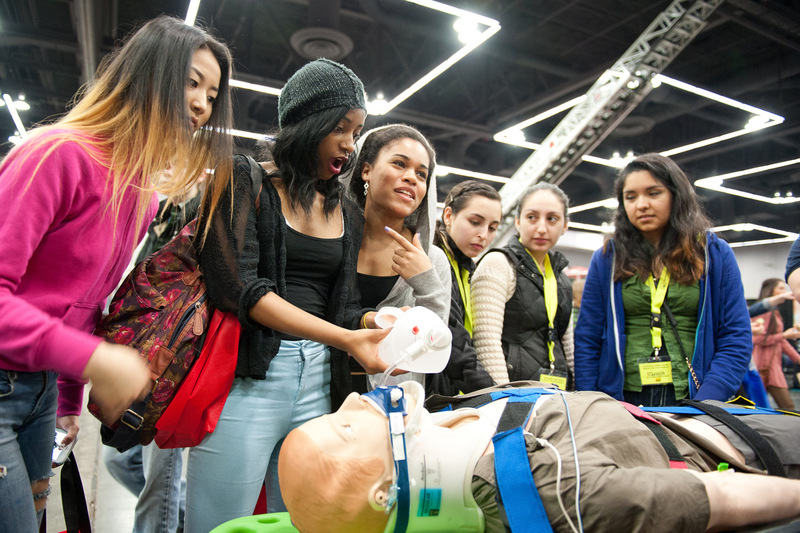 This week, we’re highlighting the exhibitors in the Health Care Zone, which will have a great mix of serious career learning and hands-on fun. Our health care exhibitors include Oregon Health & Science University, Banfield Pet Hospital, Kaiser Permanente Northwest, Legacy, Providence and WebMD Health Services. We’re also delighted to welcome Portland Community College, Mt. Hood Community College and AEHAP (the Association of Environmental Health Academic Programs). Below is a sampler of information about some of our health care exhibitors, along with a photo gallery from last year’s Health Care Zone. OHSU: Oregon Health & Science University is a major presence in the Northwest, both as a health care provider and an educational institution. Likewise, OHSU will have a big footprint at this year’s Health Care Zone, featuring career paths such as physician, radiation therapist, paramedic, nurse, anesthesiologist, neuroscience research, infection prevention and many more. Legacy: Legacy plans to bring child-and infant-sized manikins, and will talk about nursing education leading to nursing careers working with both adult and pediatric patients. Students can also learn about AV and software careers through Legacy. Mount Hood Community College: Mount Hood will bring representatives from its health services program, allowing students to learn how to get started on a career path.